Modern medicine has transformed the nature of death. Being diagnosed with a terminal illness no longer means imminent death. Sudden or quick death is being replaced with a lengthy grief process that begins with a terminal diagnosis. Both the terminally ill individual and the family are increasingly confronted with the need to “live with death” for a prolonged period of time. This has the potential to alter lifestyles and force families to confront issues that once were dealt with only after the death of the loved one. A destabilized and changing family structure as the person they love slowly slips away. Changes in daily routines as family members make adjustments for meeting the needs of their loved one while continuing to manage their own lives. Figuring out how to cope with setbacks and deterioration as well as periods of remission of their loved one’s condition. Emotional and physical exhaustion resulting from coping with emotions and caregiving. Often family members are the primary caregivers for their bed bound loved resulting in little sleep or time for self-care for the caregiver. Witnessing and having to cope with the loss of quality of life their loved one experiences. Disruption to an already busy life style; establishing new routines, and re-aligning priorities. Confronting family issues that have been dormant but unresolved for many years. The diagnosis of a terminal illness or potentially terminal illness creates a crisis for the family. Anxiety is the most common initial reaction; however when the relationship with the terminally ill family member is strained feelings of guilt, resentment, and alienation may be present. Understand and accept each member will experience many conflicting emotions and that there is no right or wrong way to feel. Identify sources of support for one’s self. Find the words to talk about death and dying with the loved one and other family members. Understand what to expect when they see and meet with the dying loved one and other family members. The reality of impending death has the effect of pressing family members to put longstanding complaints/grudges on hold as they organize themselves to complete tasks and make decisions. Family members experience a feeling of cohesion and connectedness and the needs to the dying become paramount. Family members must determine how they will define their roles with respect to one another and the terminally ill member. Some may find themselves in the roles they had in childhood. Identify key contact persons and ensure communication between providers and family members for successfully managing interactions with health care specialists. Figure out how to navigate the social service maze and pursue entitlements/community resources. Have discussions about and plan for End of Life issues. Settle into newly defined roles within the family. The unity of Stage 2 begins to wear thin as the lifestyles of all involved undergo significant changes and thoughts and feelings about these changes no longer remain on the back burner. Unresolved personal and family issues emerge; make evoke feelings of joy or nostalgia, anger, jealousy, or envy. Family dynamics will dictate how the family — as individuals and as a unit — copes with the situation. Understand that everyone will experience a wide range of feelings, fluctuating moods, and periodic changes of attitude, and that such feelings are normal and to be expected. Identify productive ways of expressing and coping with unpleasant feelings. Focus on and engage in honest, kind, and direct communication with each other. Tie up loose ends and resolve issues that may have remained buried for many years. As the terminally ill individual’s health continues to deteriorate family members often find themselves having more memories, good and bad, of past experiences. The focus shifts to story-telling and talking about how individual family members have viewed their place and role in the family. This Stage presents and unprecedented opportunity to resolve longstanding issues, heal wounds, and redefine one’s role in the family. Support family members who are have difficulty facing issues; when family members are able to face unresolved issues and experience healing they have the best opportunity as a whole to move together toward a happier future. This Stage of begins with the funeral and celebration of the life of the now-lost family member. It can be a time of creativity and planning, as the family decides, for example, how it will commemorate anniversaries and birthdays. If the family has successfully negotiated the previous four Stages this final Stage opens the door to collective as well as personal renewal. Not all terminally ill patients and their families are able to accept and make peace with the notion of dying, but those who do experience a greater sense of empowerment, a lessened sense of loss of control, and the ability to focus on the quality, rather than quantity, of their remaining time. Your hospice team recognizes the challenges and difficulties faced by patients and their families during this time. Our trained staff are skilled at providing the services you need wherever you are in this process. 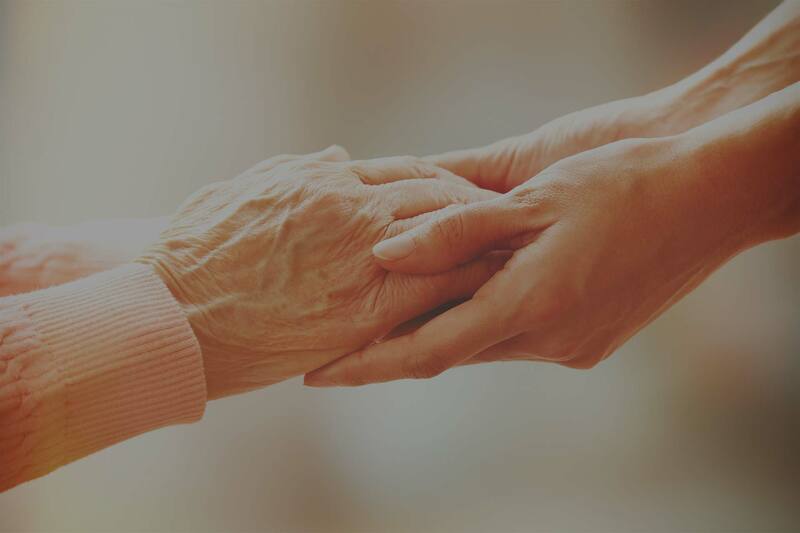 We are here to answer questions, provide support, and connect you to community resources so that you and your loved one experience the highest quality life possible.